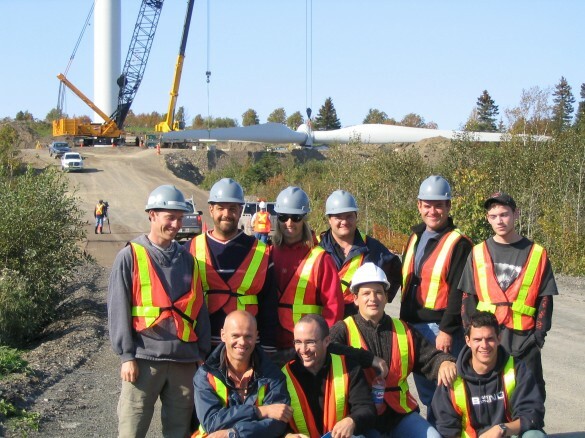 In 2015, over 400 turbine maintenance technicians will be employed in Quebec alone. These technicians will work with turbine manufacturers (ex. : GE, Enercon, Senvion), owners/operators (ex. : Cartier ÉnergieÉolienne, Northland Power, TransAlta) or O&M subcontractors (ex. : East Coast Wind, Techéol, Suspendem). This line of work offers starting salaries in excess of $20/hour with the possibility of paid overtime. A number of programs are available to work as a turbine maintenance technician; four such programs are described below. Industry Needs: Turbine and meteorological instrumentation O&M, commissioning and supervision of Balance of Plant, supervision of turbine manufacturer’s work, decommissioning, converter manufacturing. The AEC in Wind Turbine Maintenance offered by Groupe Collegia is widely recognized by Quebec businesses involved in turbine O&M. This training lasts 12 months. To be eligible, the candidate must have completed one year of post-secondary studies or have discontinued his/her studies for one year. A cohort has begun at Rivière-du-Loup in May 2014. A new cohort of students will begin in April 2015 in Beauce. 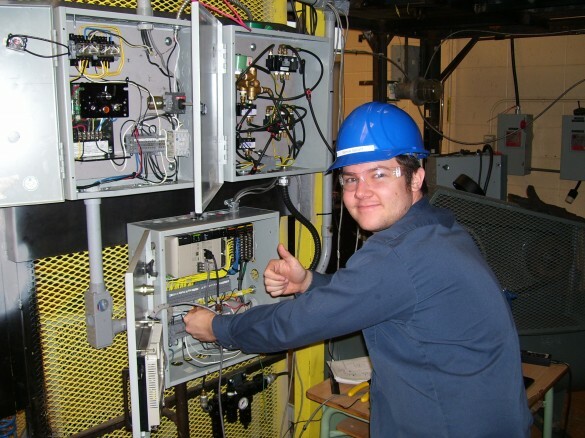 This is a 3-year college-level technical training offered by various general and vocational colleges, including the Cégep de la Gaspésie et des Îles. At the campus in Gaspé, students learn how to maintain equipment used in the manufacturing and wind energy sectors. With this training, the graduate can work not only in the wind industry, but also in the fields of petrochemical, wood processing, transportation equipment, etc. This training in Electromechanics of Automated Systems is offered at the vocational training centres in Gaspé and Matane. This 1800-hour training covers various relevant aspects of the industrial sector, including wind energy. The training does not include any specific courses on wind turbine safety (to be taken separately). A RAC program in Wind Turbine Maintenance was recently implemented by the Groupe Collegia. Under this program, certain skills associated with the profession of a turbine O&M technician can be recognized.